Is it easy to find the spectacular recurve bow with your budget among thousands of products? It seems hard without knowing the features which you need to keep in mind is almost impossible. Not only we will talk about the precise product here rather we would like to show the definite characteristics that can come to you a blessing or a curse. 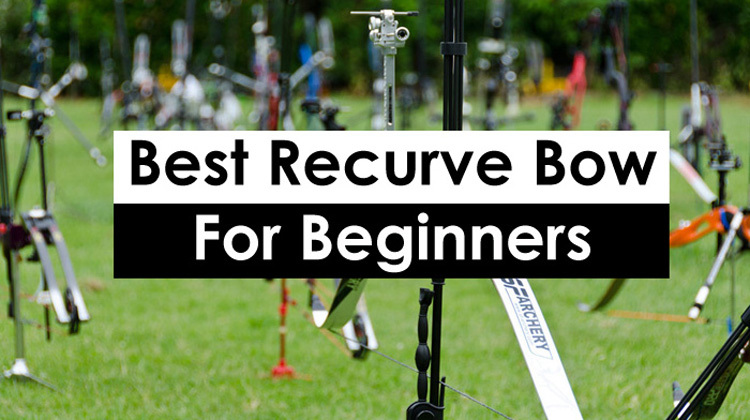 So don’t be panic this guide of best recurve bow for beginners will soon susceptible you to get a suitable bow in limited budget. Please note that the products that we are reviewing are not chosen by seeing the top list of major models published by renowned hunting and outdoors publications. They tend to list the most expensive models which most of the cases are not suitable for everyone. So the intention is here to give you a vivid description of selected best recurve bows for the money and guide you to make a wise decision instead of being an utter fool after buying any product. No matter who you are, Young or old, beginner or medium archer, Sage is always there for you! 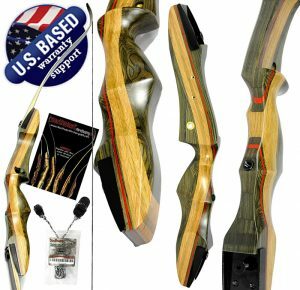 Obviously, you may go with your top notch recurve as a beginner for offering multiple features at a comfortable price. For the initial purchase, it will be great as it has the capacity of building you up gradually in the archery field as an archery expert. Surely there would be a thousand options but the “best” one really is what that will make you susceptible for increasing capacity. The basic fact about this 62″ takedown recurve bow is to have a draw up to twenty-nine inches. 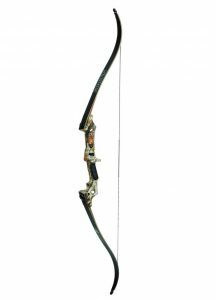 This 62″ bow comes with interchangeable limbs that can be upgraded with different draw weights. It includes B-50 Bow String and Arrow Rest which ensures good quality according to the archer’s review. We differentiate it for its extraordinary features a molded grip, as well as the solid construction. Of course, pre-installed brass bushings will provide you with a good guide without any hassle which will make sure of smooth use of the connecting product like Brass Plunger, Stabilizer, Sight, and Quiver. Attractive limbs will carry the elegant look for its design. At the same time, hard maple craft with black fiberglass will ensure long-lasting quality. Samick Sage Takedown Recurve Bow 45lb is providing a single tapered knob with flexibility while held in the hand. You may opt for more additional accessories to customize it as an intermediate user. It is super as you can purchase limbs separately in order to boost or lower weight. The best brace height for this model ranges from seven and one-quarter inches to eight and one-quarter inches. That can be very reliable and suitable for the primary user. Yes, you are in the right direction, if you are looking for a great aesthetic bow which can value your money and will be durable like the other. Surely this article gonna prove a better option for you. Martin Jaguar Takedown Bow provides a fine and comfortable experience while you are new, not by the look only but also for comfortable finishing of this great product. Amazed? Yes indeed. It is carrying a stylish look but a little less traditional. Aluminum riser gives a sturdy strength to it. Don’t be panic for the weight. The whole thing weighs less than 3 pounds only! It is making a suitable balance between long-lasting construction and lightweight. So you can use it and construct your muscle for better shooting. It includes Martin’s Thermal V Grip which provides better performance on the field according to the expert archer. At the same time, this grip helps to keep whole control of the bow in your finger. Decreasing vibration noise ensures pleasure during shooting. It will shrink all probable doubt while you will find it in a good combination of wooden limbs and aluminum riser. The gorgeous appearance comes with snappiness of maple and the repeatability of the fiberglass backing work. But its flimsy arrow rest arise a question in its quality but I would like to suggest you ignore it as this can easily be replaced. Interesting thing is that it will keep you away from loads while others are struggling to set the string accurately. Overall Martin Jaguar takedown Bow will give you a satisfactory feeling if you are going to choose it as your companion on archery field. It will never be denied that Spyder Takedown Recurve Bow and Arrow Set has taken the name sage 2 for its new and excellent features. People are amazed by sage but compared to sage its features are also outstanding. Its extraordinary look flickers through the fine four naturally combined woody touch on the riser. This Spyder Takedown Recurve Bow is very much convenient for having everything all together through its accuracy and lightweight. Thus if you are looking for easy learning this can be a great chance for you. It is coming in the market with draw weights of 20lb – 60lb 5lb increments. I would like to suggest you Spyder Takedown if you are fairly familiar with the form and techniques as well as very new struggling for learning easy ways of shooting. Greater draw weights can be hinder to your dream. So start with lower to higher. Necessary Allen wrench is already set up to lessen hassle during shooting. Pre-installed features are keeping extra works away and more relaxing thing when it comes with threaded bushings for different accessories like mechanical rests/plungers sights quivers and stabilizers/bow fishing reels. So you can upgrade your bow anytime when necessary. Limbs and string reinforce the bow with the high standard which is compatible for claiming one of the best bows in the present marketplace. Some claim that adhesive arrow rest is the barrier for smooth practice as after few shoots it becomes slippery. To them, arrow rest and the bowstring didn’t last long. The bow stringer is not included with the package so to purchase it you need to be ready for an additional cost. 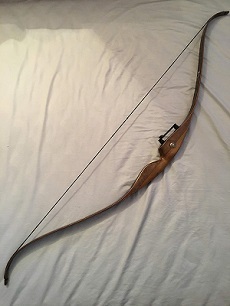 It seems the first time when you are getting quality products with the lowest price as they are very much concern about the customer’s satisfaction.SAS Spirit 62″ Take Down Recurve Bow earned fame in the present market at the same time others find it ungratified in case of precise materials and suggest others to be a concern during their purchase. 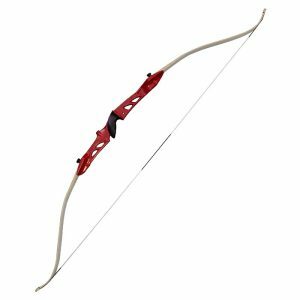 So this is the time to disclose all the features elaborately of SAS Spirit 62″ Take Down Recurve Bow and guide you to select the best one. This budget-friendly product gives you a reason to smile as it comes with a very stylish and gorgeous look with the beautifully curved handle which is available with three colors. 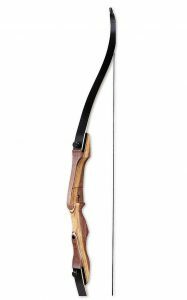 This 62″ recurve bow is especially recommended for the shooter heights up 5’7”. The reinforced riser is made of chuglam, gmelinaarborea, and beech which ensure long-lasting quality. The limb is well built for having the touch of fiberglass. Meanwhile, you have the opportunities to choose your draw weight among 26 lbs, 34 lbs, 22 lbs, 30 lbs, 32 lbs, 28 lbs, 24 lbs. If you are new then don’t try the upper draw weight as it requires strength and unsuccessful attempts may diminish your wish to do something in the hunting market. Spirit Bow, Finger Tab, Bow Stringer, Arm Guard, and Paper Target are included in your package but the arrow rest or sight will cost more as you need to buy those. The matter of concern is the uses of a bow in a rainy season. On the other hand, it is weighing 3.6 pounds which is slightly heavier than the others included in our list. Among all this, you will be pretty relaxed for getting three years warranty scheme which surely going to prove very effective for you. To me, it is a wonderful choice for younger users or those just starting out. The PSE Razorback Recurve Bow can be the best choice for children and in the case of women it also suitable according to those who already have a great hand on it. It comes with relatively lower draw weight and this function enables children to achieve the desired shooting techniques. However, if you are a pretty athletically built woman then you should have chosen the 30# draw weight. The PSE Razorback Recurve Bow erupts as a good accessory while you have the necessary information regarding your capacity. It is a primary recurve bow with limited options for the limbs and works as an introductory bow for children. The limb choices are 20, 25, 30 so it doesn’t require many wrenches to remove or bolt up the limbs. It has 62” length so children with lower capacity can pick it up easily for the best option. It is purposely easy to understand and handle. Outgrow children up to high school level can easily carry out their practice with The PSE Razorback Recurve Bow. Limbs are laminated and are resisted to twist or separation. The riser is well furnished with hardwood and it’s good quality and trendy look is expected to stand up well to children and women those are particularly wanting to build them up. Sights, stabilizers, quivers are comfortably installed for smooth use. Heaviest limbs that are available allow you to shoot up to thirty yards that is more than enough as a beginner to practice. Finally, it’s adorable and vibrant color gives it a stylish and eye-catching appearance which is gonna be an enchanting experience for you if you try it. If you are completely new to archery still want to buy something stylish and durable then SAS Explorer Metal Riser Takedown Recurve Bow is waiting for you. You know very well that it is very important to select the correct bow with suitable lengths and draw weights. Use of incorrect draw weights leaves your muscles fatigue and strain. But this recurves designed in such a way which can meet all the necessities of new users. If I start describing the quality then it is completely comparable to other metal riser recurves that comes with a hefty price tag. So there would only be a chance of gaining something incredible in this case of having SAS Explorer Metal Riser Takedown Recurve Bow in your hand. High Strength Casting Aluminum Riser has already proven its strength by working perfectly for a long period of time. Many of the users are amazed by its fine polished riser which is available in red and blue colors. Strong Fiberglass Limb made of Maple makes it sturdier. Multiple draw weights are here really a great opportunity to build the most finely-tuned archery muscles. This Draw Weight starts from 22 to 34lbs. Right-hand orientation is only available and it is highly recommended for the shooters heights up 6. Overall bow length is 66 in an approximate bow weight is 2.4 pounds only! So this weight won’t be a barrier to your perfect shoot. To make it more perfect you may install other additional accessories like Velcro at the end of the limbs where the string hits after the shoots, nocks and so on. Even you may use a reel, fishing rest, and a fishing arrow for spring carp shooting. I promise that would be great fun. I personally love the way it shoots. So you can have this SAS Explorer Metal Riser Takedown Recurve Bow without any worry for providing flexibility and durability that you need. As far as my knowledge bear products earned a name for their fine polished products. 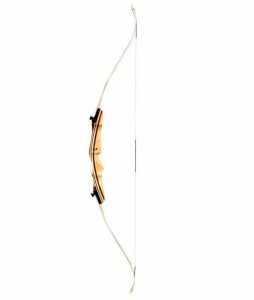 Bear AFT2086150 Grizzly Recurve Bow, Right Hand, 50# is popular for its simplicity and appealing look. 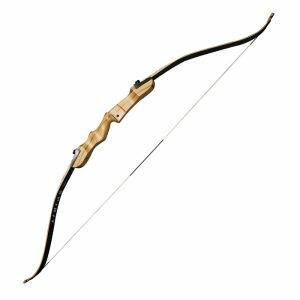 It is a great bow for the money that comes with 58″ length which makes it suitable to carry it anywhere you want. Durable weather- and scratch-resistant, satin gloss finish is one of the best features that can make you pleased every time. Bear hair arrow rest and leather side plate give an extra smart look to it. Meanwhile, there is no consideration to the string quality so the uses of Dacron Flemish string makes it sturdy enough to go for a long period of time. Nobody wants a bow with poor quality materials as it is going to be part of every day’s life. Fine-crafted riser ensures the durability that is burnished with well-categorized red Hard-Rock Maple. Isn’t it charming while you will find the loving touch of clear maple on the limb with reinforced black fiberglass? Sometimes people need for the second thought before buying this as it contains with exceptional chubby grip. But truly said, it is very comfortable in hand. Even some find it loud so be sure you are using silencing goodies to help compensate for it. Overall it is a great one for the beginner and intermediate archer. For sure you will be proud enough of your decision once you have chosen it as your hunting companion. Isn’t it fun to get the quality product that can value your penny? Why so late? Check it out and grab this all in one product today. Limbs – overlaid with clear maple, backed and faced with high strength black fiberglass. Something that catches your eye at first appearance will never deliver the desired performance, especially in archery. You need to specify the certain things that you are searching for your purchase. So which product will match your criteria? How to find the best accessories? What characteristics should it have? All the questions can blow your mind. So this step by step guide gonna prove amazing for making you understand the precise things that you need to consider before buying. You need to choose a user-friendly recurve that can make you stand for better performance. Keep it in mind that knowing the proper draw weight is like you are very near to the success as it directly affects the equipment. Furthermore, I would like to suggest you from my personal experiences are to choose a recurve with overall height roughly draw weight plus 40in. It is really very tough buying beginner kit with a tight budget. But the proper knowledge can save you both money and time. A beginner recurve bow requires a riser, limbs, string, rest, button, sight, stabilization, and other accessories. Let us have a glance at each of it. This part is the foundation of the bow so it is very obvious that you need to spend most on it. No consideration towards the quality as the whole bow is built on this riser. It is good to say that if you can figure out the accurate weight of your desired recurve that is going to be best. Accurate weight gives you the smooth feeling of shooting every time as you will be relaxed by holding it in your hand. Feel the weight and try to balance it. Your budget will help you to pick the best one among your range. It is available with wood, metal and carbon contraction. So obviously its feature also will perform differently. But after all each of it having benefits and peril disguised in eye catchy look. So do not be fool by trusting the first sight. Wooden and carbon riser are slightly lighter than the aluminum one. If you like to go with wooden recurve then let me tell you the truth as it is having limited options at the same time it will provide you the test of traditional essence whereas the aluminum and carbon are constructed with advanced technology. So which riser can be the best choice for the beginner? The actual attributes of a good riser depend on the qualities that you need to perform during shooting. Typically good balance, good hand placement, straightness, and geometry are the keys to your success. So try to have a good command over these. A twisted riser is usually not good as it will directly connect with the limbs and affects its shape. Limb selection is another important issue need to consider for a beginner. Most limbs that are available in the market go well with ILF system which works cross-brand, with exceptions including screw-in and the newer Hoyt Formula fitting. It is very common to outgrow the first set of limbs after using it for a few months to enrich your capacity. To go with the budget, I would like to tell you to buy at the cheaper end of the market that will facilitate you replacing a new pair without breaking the bank. Poundage choosing can make your work easier as you need to select the limbs with the weight that is similar or slightly heavier than the previous one. The standard range of poundage starts from 18.32. Poundage variation offers a different feeling during shooting. Some archers intend to use limbs made out of fiberglass or carbon fiber technology while others like to go with smooth feeling by using wooden cores with layered foam. Choosing of limbs is completely personal. So it is your decision about which things you would like to go with. String measurement, length, thickness all depend on your bow. All you need to know about the string is its correct measurement then only you will find the proper length. The thicker string provides better stability so for sure it is dedicated for higher poundage. Although it may be a little slower but may have a good fitting for your chosen arrow nocks. Color variety also available but most archers tend to buy white one as it reflects light during hot summer and prolong its life. Another important piece of your kit is the sight where you need to invest more after riser. Choosing cheaper riser can be the worst decision as it may rattle or can be fragile after a few shots or you may find some issues to adjust it. So quality matters. Find the sight with micro-adjustable parts; better build quality and superior materials. Although metal rest is available in the market with sturdier strength often it is not suitable for a beginner. The alternative option for them is the plastic one with fixed or magnetic varieties. Don’t think about the performance of plastic rest as the record says best scorers also used fixed plastic rest during their shots. To reduce the vibration, long and short rods works well. Most of these have sturdy construction and perform well. So may invest here without any worry. Someone just starting out need a good stabilization system to get well-balanced, a properly-weighted bow which will be resulted in a comfortable shot especially when released. Starting with a long rod can be a good idea then add v-bars at a later date to get the comfortable touch. Top and bottom rods are other options which are available with additional weight and dampers. These are needed to add while you are going to borrow other equipment to test. An aluminum or cheaper aluminum/carbon arrow is popular among beginner as it is very much suitable and appropriate in an initial stage. Functions of arrows depend on the poundage you are pulling at the draw length you reach. With the change of the limbs, you need to change the arrows. So cheaper arrow can save your money. Plastic vanes can be your companion especially while you are shooting outdoors. The hopeful thing is that it is easy to repair although you’ll probably wish to move on to revolve wings eventually. Selecting the above-mentioned pieces will completely depend on personal preference and budget. Huge range of products and varieties style can be the reason for your confusion. If so connect us for further query.